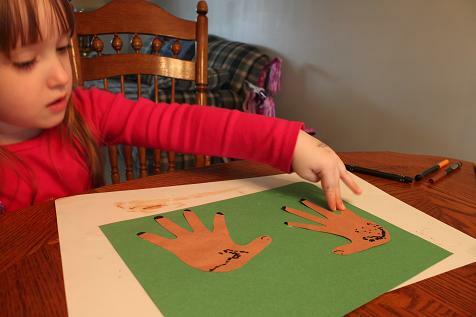 Continuing with our horse theme this week, Hailey made some handprint horses. 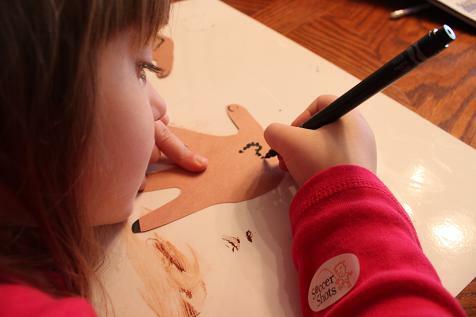 I traced Hailey’s hand and then added a little smiley face and hooves. Hailey wanted to add some spots to her horses. 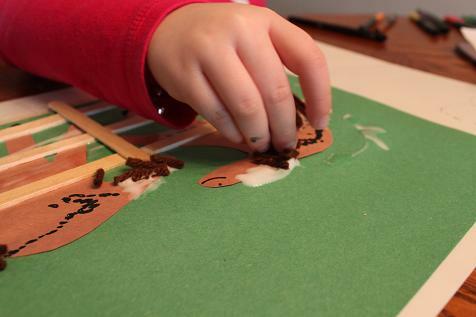 Hailey glued the horses onto the paper. 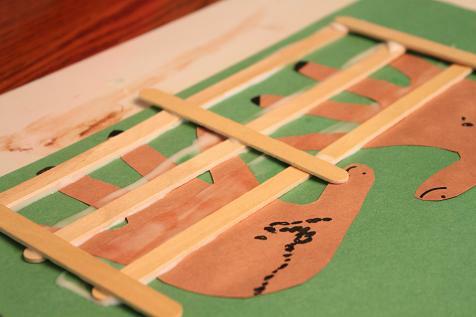 Then added some popsicle sticks to make a fence. Hailey added some yarn for a tail and a mane. 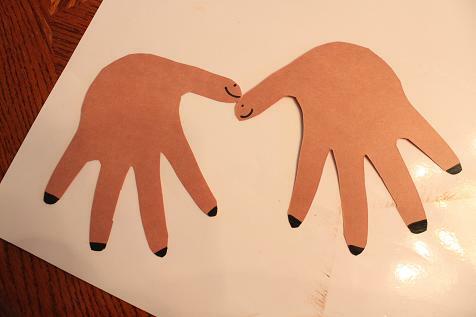 I can’t wait to do this tomorrow with our girls. They will love it! I really like your site. Teach Preschool featured you today and that’s where I discovered your site. Such a neat idea! I love how you used Popsicle sticks & yarn. I love how you used the hand prints! 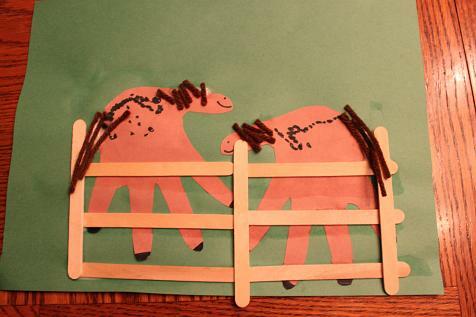 My favorite of your horse crafts, though they are all adorable. You are so creative!